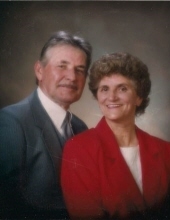 William Wilcox, 90, of Coldwater Township, passed away Monday, March 18, 2019, at Medilodge Assisted Living. Cremation has taken place and no services are schedules at this time. William was born August 17, 1928, in Coldwater Township, Isabella County, Michigan, son of the late Fred and Verlia (Lee) Wilcox. William served in the United States Navy as a Fireman Second Class. He married Arlene M. Smith on July 20, 1950, in Beal City. William was a self-employed excavator from 1969 into the mid 90’s. He owned two gas stations in Weidman and one in Clare. He was a member of both the VFW and Eagles Club. William is survived by six children, James (Crystal) Wilcox of Weidman, Robert Wilcox of Muskegon, Kathy (Ron) Sandel of Lake, Alan (Yvonne) Wilcox of Lake, Scott (Krista) Wilcox of Big Rapids, and Larry (Linda) Wilcox of Lake; 14 grandchildren; many great grandchildren; and numerous nieces and nephews. He was preceded in death by his parents, Fred and Verlia Wilcox; wife, Arlene in 2007; and several siblings. To send flowers or a remembrance gift to the family of William Edwin Wilcox, please visit our Tribute Store. "Email Address" would like to share the life celebration of William Edwin Wilcox. Click on the "link" to go to share a favorite memory or leave a condolence message for the family.